Samsung’s latest smartwatch, the Samsung Galaxy Watch Active, is here following up the flagship Galaxy Watch that launched late in 2018. The device is beautiful, comfortable to wear, and offers great fitness tracking features, but it’s more of an alternative to the Galaxy Watch, rather than a successor. So what are the differences? Which device is better for your needs? Should you buy the smaller and cheaper Galaxy Watch Active, or shell out for the larger watch? We put Galaxy Watch vs. Galaxy Watch Active in a head-to-head test to find out. The standard Samsung Galaxy Watch has a much more traditional design than the Galaxy Watch Active. If you want a watch that will look good with any outfit, then it might be a better choice for you. It’s a little chunkier than its sporty counterpart, but if you like that old-school watch look, then you’ll appreciate the extra heft. The bezel around the display is also functional — it rotates to allow for easier selection in the software. It’s important to note, the Galaxy Watch does come in two sizes: There’s a 42mm and a 46mm option. The Galaxy Watch Active only has one 40mm size. The Galaxy Watch Active is quite a bit smaller than both Galaxy Watch devices, offering a 1.1-inch display instead of the 1.2 or 1.3-inch displays. It’s also a little simpler, offering a basic round look without any flourishes. That’s not to say it doesn’t look good — it might attract people who favor minimal designs a little more. The display on both the Active and the Galaxy Watch smartwatches are quite similar. They all use AMOLED displays with a resolution of 360 x 360 pixels. The main difference is just display size, which we mentioned above. Both the Galaxy Watch and Galaxy Watch Active look good, but the latter is the more comfortable watch to wear. It also doesn’t look tiny on large wrists, and doesn’t look massive on small ones. It’s a great one-size-fits-all watch, whereas the standard Galaxy Watch smartwatches are beefier. It’s largely a personal choice, but we prefer the sleek look of the Galaxy Watch Active and its lightweight nature. The Samsung Galaxy Watch Active is clearly aimed at athletes considering its lightweight build and slimmer design, but when it comes to actual fitness-tracking features, the devices are more or less the same. Both smartwatches offer a heart rate monitor, GPS, and you can see all your health data in the Samsung Health app. You can track steps taken, distance traveled, exercise activities like running or walking, and even sleep. There are even widgets that quickly let you add how much water or coffee you drank a day, in case you want to keep track of it. The experience is very similar across these watches. Apart from design, battery life is perhaps the biggest difference between the standard Galaxy Watch and the Galaxy Watch Active. The standard Galaxy Watch has either a 270mAh or 472mAh battery, depending on the size of watch that you get. The Galaxy Watch Active, on the other hand, has a 230mAh battery. That means the 46mm Galaxy Watch lasts the longest — about three to four days — whereas the 42mm Galaxy Watch survived about two to three days (depending on use). The Galaxy Watch Active barely hit two days of usage. All these watches can easily last a full day, it’s just the Active will definitely require you to charge it every night. It’s an easy win for the Galaxy Watch. The Galaxy Watch does have another trick up its sleeve — there’s a 4G model available. So while that does mean you’ll have to spend a little more, you will be able to get notifications, calls, and the ability to stream music even when your phone isn’t with you (you need to pay for a data plan too). 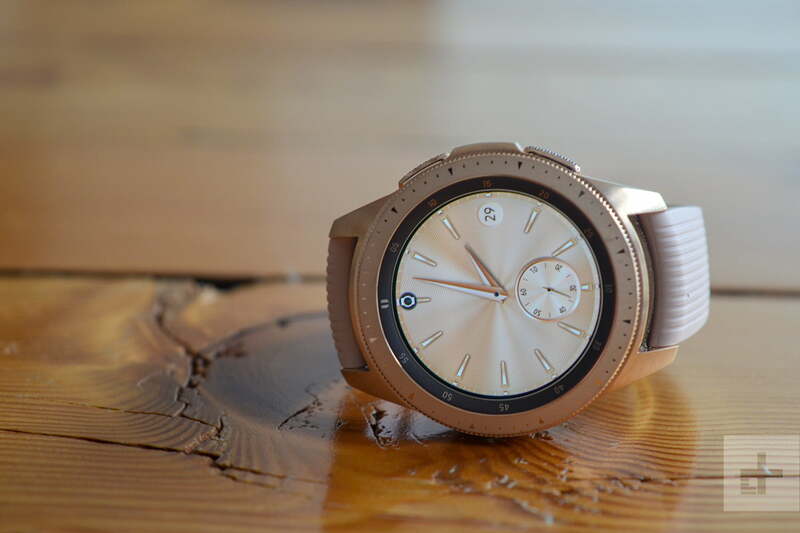 If you don’t carry your phone everywhere (or take it to the gym or on a run), but you still want all the functions available on the smartwatch, then the cellular Galaxy Watch is your best bet. The standard Samsung Galaxy Watch has been available for a few months now, and it can be bought from your favorite retailer for as low as $280 for the 42mm version, or $300 for the 46mm model. The Galaxy Watch Active, however, is newly available — and it comes at a more affordable $200 price tag. Both the standard Galaxy Watch and Galaxy Watch Active are great watches. The standard Galaxy Watch is a little chunkier and not quite as pretty, but it has a better battery life. The Galaxy Watch Active, on the other hand, looks a bit better and is lighter, which is good for wearing while exercising or playing sports. 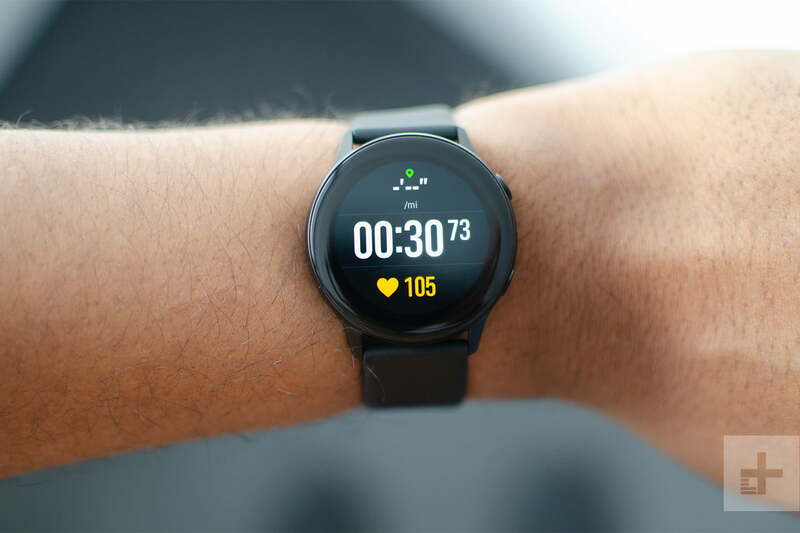 The Galaxy Watch is better because it can last longer, but if you’re on a budget and exercise often, the Galaxy Watch Active is the way to go.